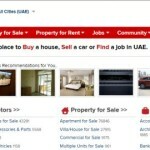 You are here: Home > Dubizzle job posting: What Employer was thinking when posted this Web Programmer Job in Dubai? It is said that Dubai is a land of opportunities. 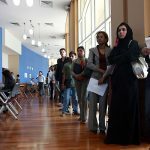 Everyday thousands of expatriates land in Dubai with dreams of getting on a job, starting a business or generate money in some way. While there are plenty of jobs in Dubai, not all are dream jobs. In fact, most employers waste no effort to exploit the workforce. A job ad was recently published at Dubizzle, one of the leading classified websites in Dubai. The ad asked for an awesome web programmer. Are you ready to be a part of something awesome? Something redefing quality standards in the online industry? Where you will be working on projects you can be proud of? Impacting people around the world? We are a really tanlated startup with some of the biggest projects in the GCC – driverabia.com , swalif.com and we are looking for a talented developer to help us reshape the online frontier in the middle east . Are you ready to be a part of Big? 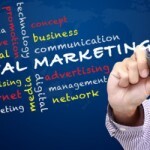 Big is an online presense, social media marketing company with its roots in Middle East. Working at Big is like working at a place where you get to work on new things everyday. Where you are constanly learning and striving to do things which have not been done before. We utalize the latest in technology, development tools and the previlaged who do get to work at Big experience tremendus personal and professional growth. Thats right. The generous employer is paying Dhs 2,000. And you would to travel to Sharjah from Dubai for the job. Wonder what this employer was thinking when posting this job at Dubizzle. 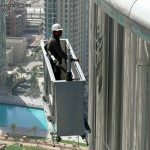 2 Responses to Dubizzle job posting: What Employer was thinking when posted this Web Programmer Job in Dubai? I think shame on this employer, who have hired such employees with such a high standard of English, and secondly this generous employer paying web developer just DHS 2000, still people are dying for this jobs. Thousands of applications just get receive within few hours after the job uploaded. You would still see a long line of interview candidates… ? And most probably 90% of them will be Indians? or Filipinos.